Zero Tolerance has black washed this blade and it looks superb. This model has the same style we all love with the oversized handle and knife, yet has modernized it with a black wash blade. It has a thumb stub and a flipper on the spine so that this knife can be opened with one fling of the wrist. 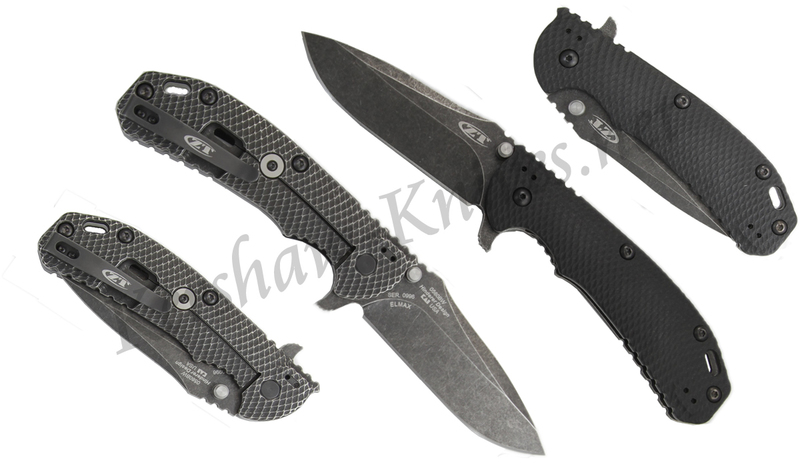 The handle has black G-10 Scales on the front and Titanium on the back side. The pocket clip on back is a deep carry and can be mounted in the quad positions of tip up, tip down, or left to right carry. The black wash finish on this blade has the ELMAX® powdered steel. This gives the knife blade extreme edge retention, high strength, and toughness, all the properties you have been looking for.